Today, most people use laptops, reading tablets and modern smartphones, which has changed the conditions of the workplace. Globe Concept is built for this new generation of tools. You sit higher, which gives a better body-balance, better ergonomics and a better overview. The rolling backrest provides inspiration for movement, support for the arms and offers a comfortable massage of the lower back. 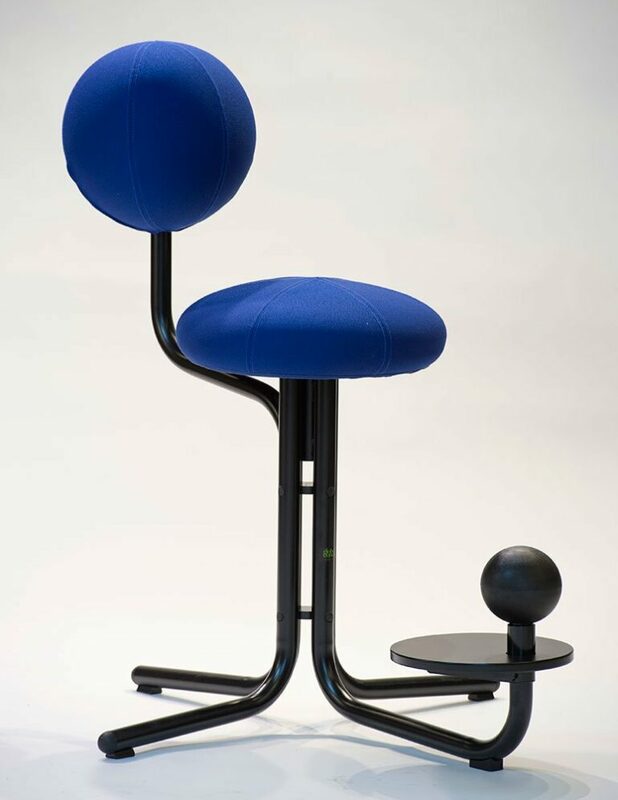 The rounded seat rolls freely in relation to the backrest and inspires movement and variation. 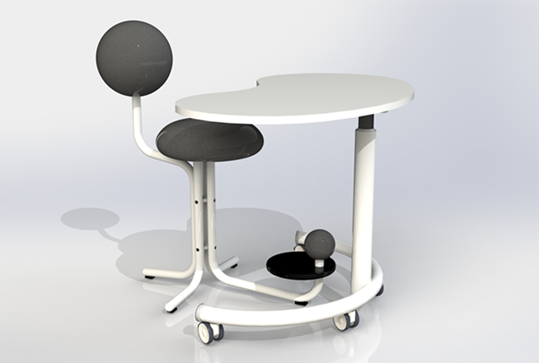 Three different levels for the feet, provides better blood circulation and a variety in seating positions. 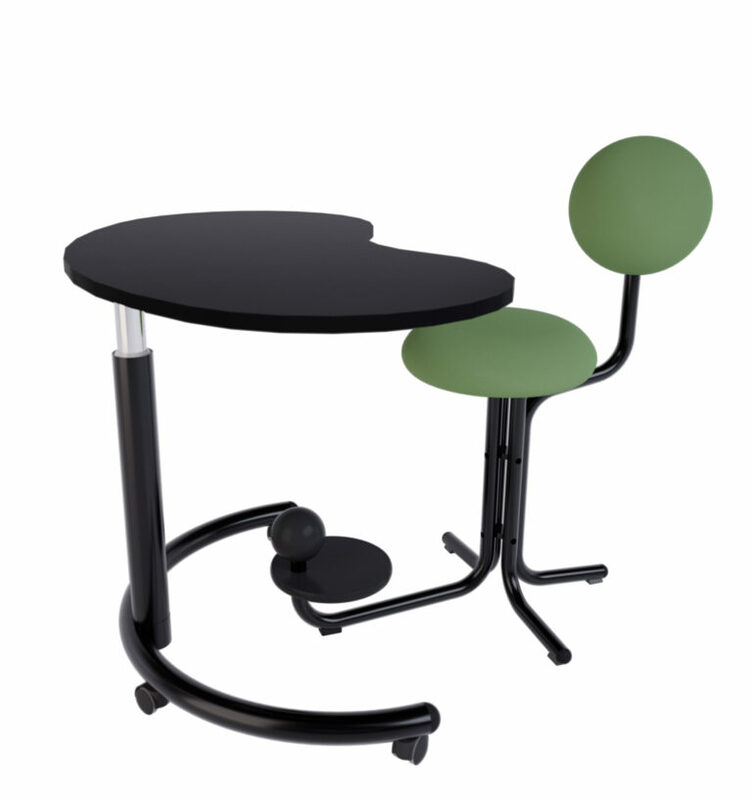 Two movable table tops for the Laptop, as a reading plate or as support for the arm. Globe Two also serves as a special waiting room chair; it is easy to sit on, it feels good when sitting slightly higher up and one can quickly get up from it. 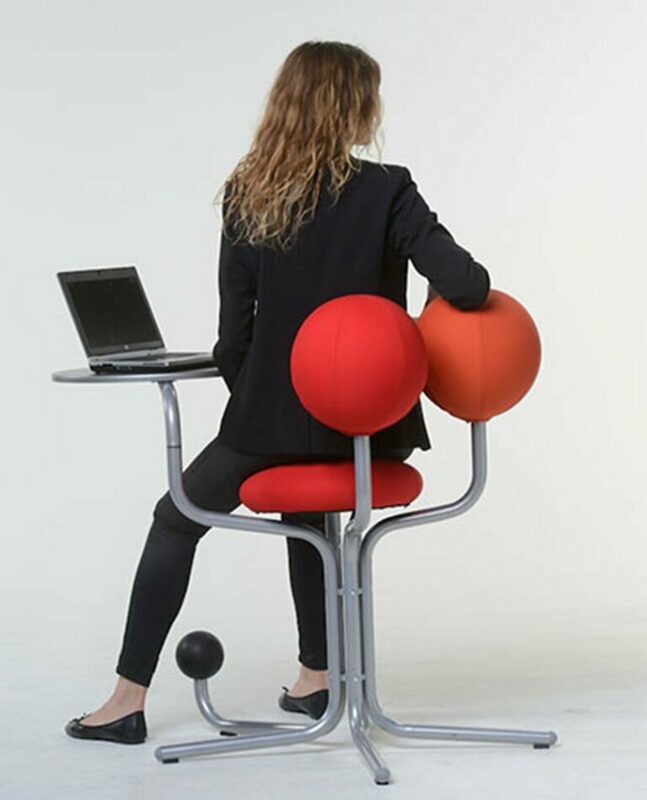 The ergonomic design suits most people, thereby eliminating time-consuming chair adjustments. An ergonomic pallet, perfect in waiting room area or in areas where freedom of movement of the upper body is essential. 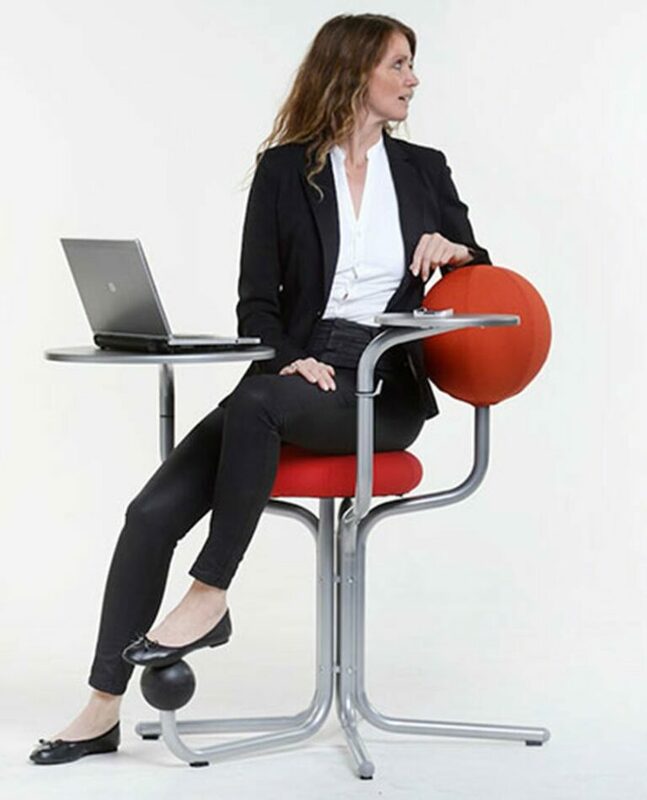 In spite of its lack of a backrest, Globe One encourages an active and and upright sitting position, which is reminiscent of a rider on horseback. 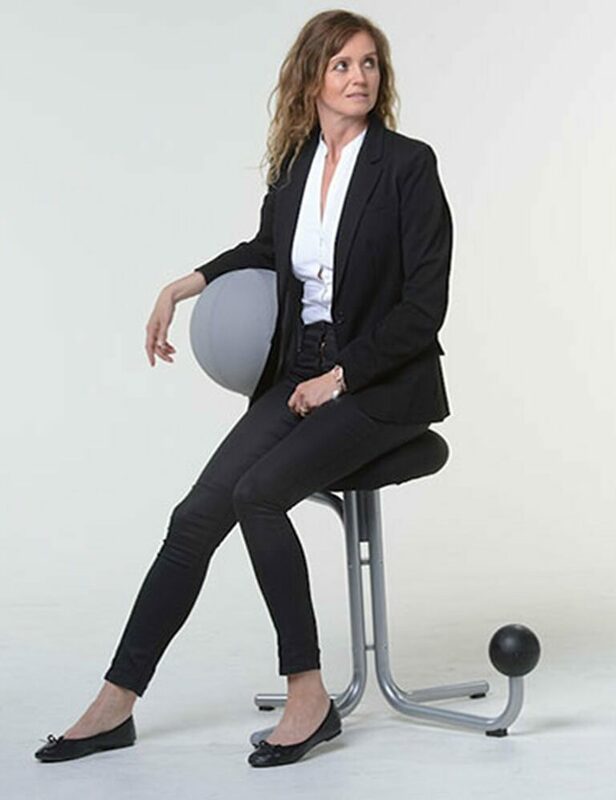 The rounded seat forces the pelvis forward and increases the use of the body’s largest muscle group – the gluteal muscles. In this way, there is less pressure on the back, shoulders and neck. 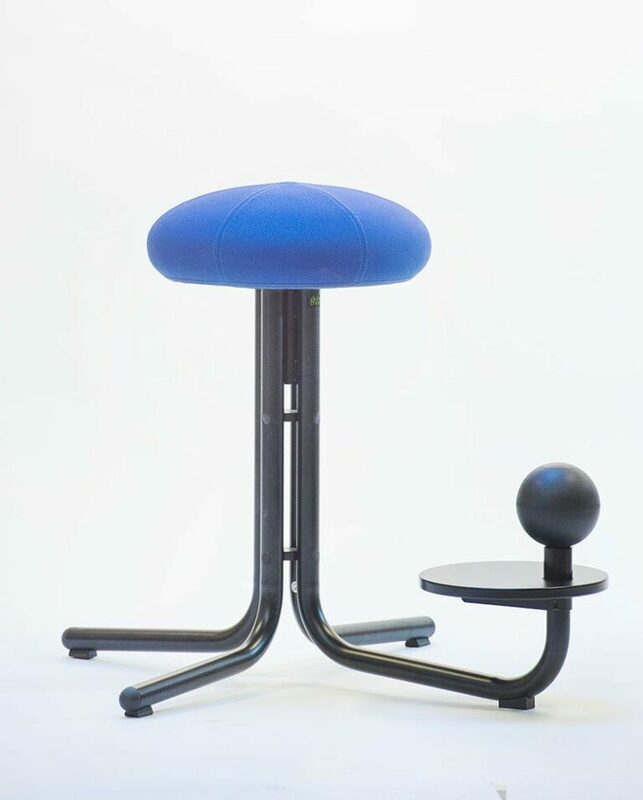 The supporting footrest and footboard creates an extra level for the foot and thus increases mobility even further. 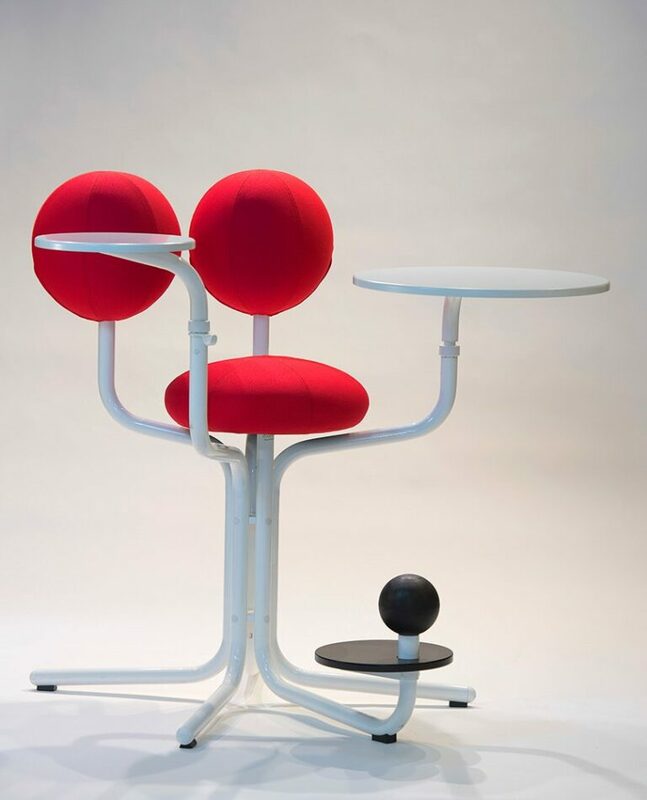 GLOBE ONE is the perfect meeting chair, as it takes up a minimal amount of space. 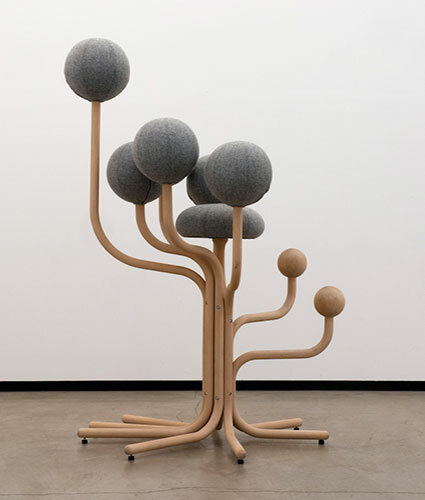 The original Garden chair, designed by Peter Opsvik 29 years ago, is now re-launched in a new version by Moment AB. 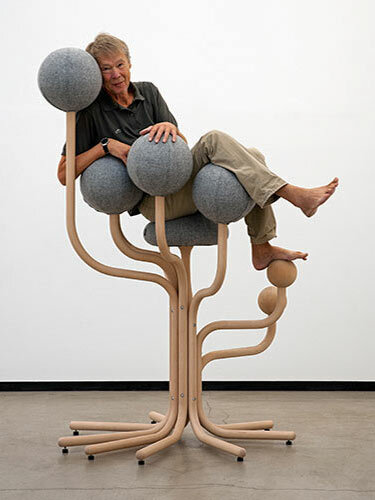 In the updated version the branches of the tree continues down and become supporting footrests. Garden is an icon, an art object and eye catcher. But it also offers numerous comfortable sitting positions.